A Kaffetastic Summer Quilt Along! Come and be a part of an exclusive gathering of those who love color, design and quilting. 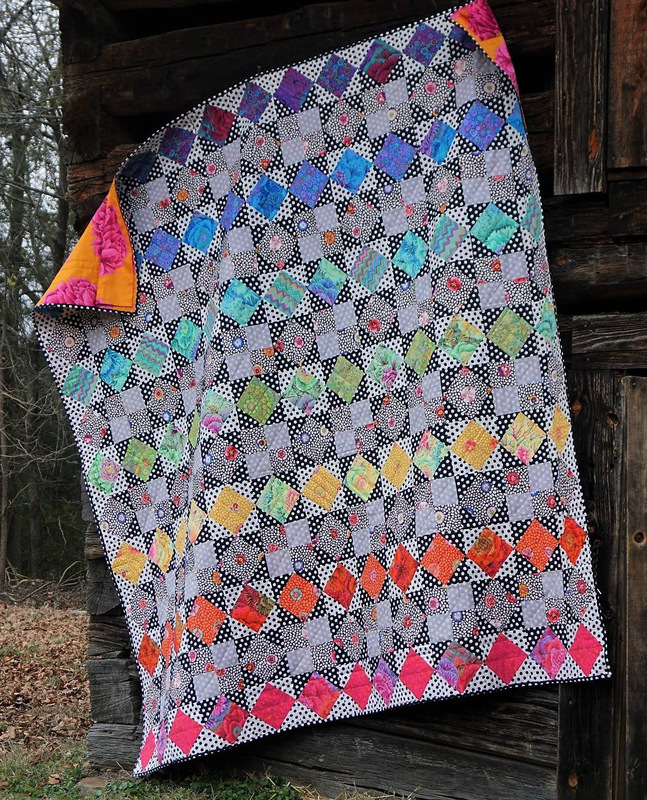 Introducing the Kaffetastic Rainbow Star Quilt Along from the Kaffe Fassett collective and Free Spirit! 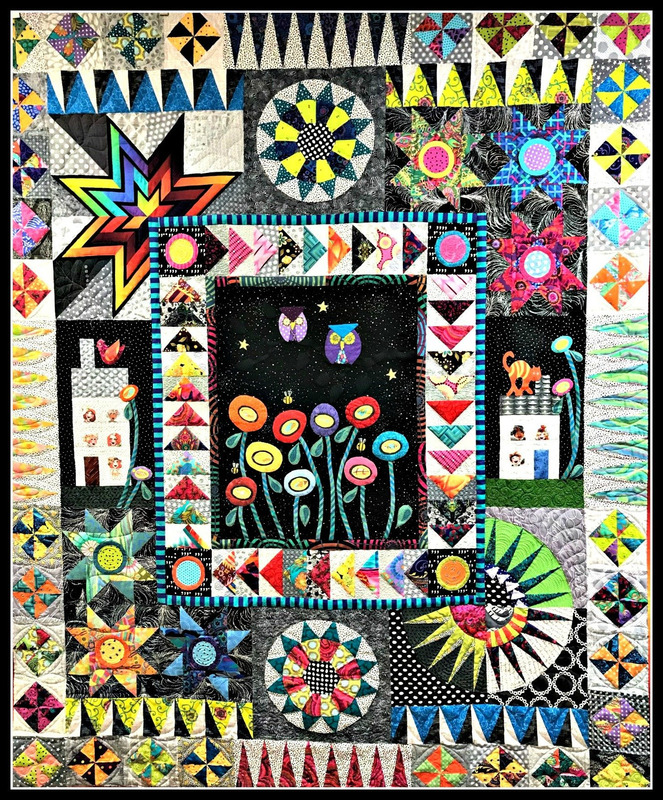 An interesting twist on a Block of the Month, we are offering kits for Kaffe and Liza's Summer 2019 Rainbow Star Quilt Along scheduled for June 3 - July 15th, 2019. Each kit comes in two colorways, Bold, (designed by Liza Lucy and shown with the black and white polka dots), or Sunset, (designed by Kaffe Fassett and shown with the blue/grey coloring). Both quilts are 78" X 78" finished size, and include 9 1/2 yards total of fabric for the top. Each quilt incorporates anywhere from 19-23 different gorgeous Kaffe fabrics! 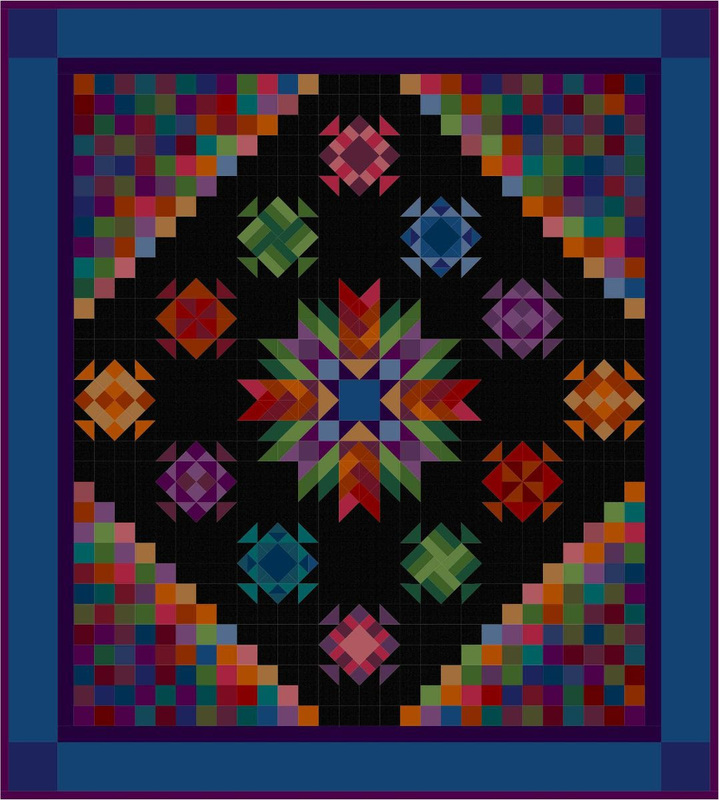 Starting June 3rd weekly Rainbow Star patterns will be released online as a PDF at www.freespiritfabrics.com to include the quilt directions. 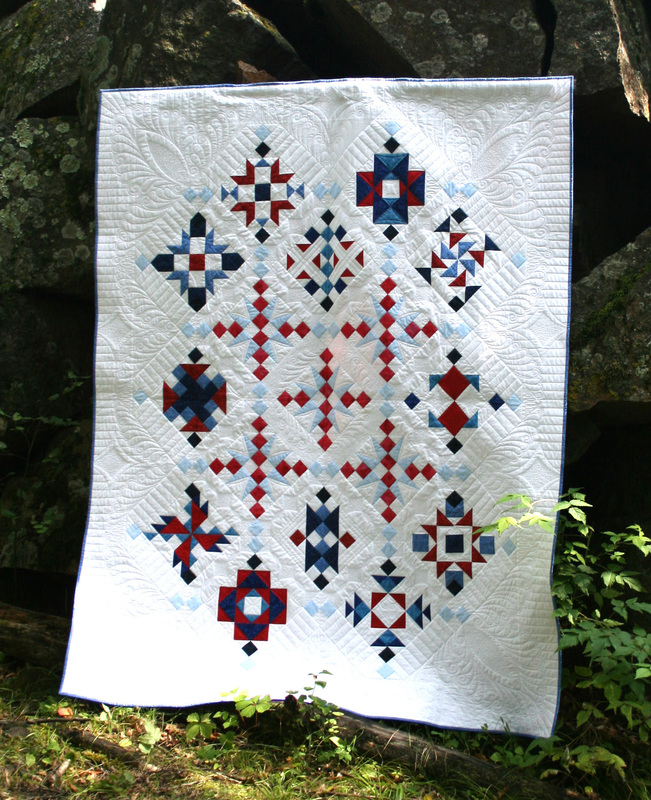 The quilt features four patches and 6" squares on point. 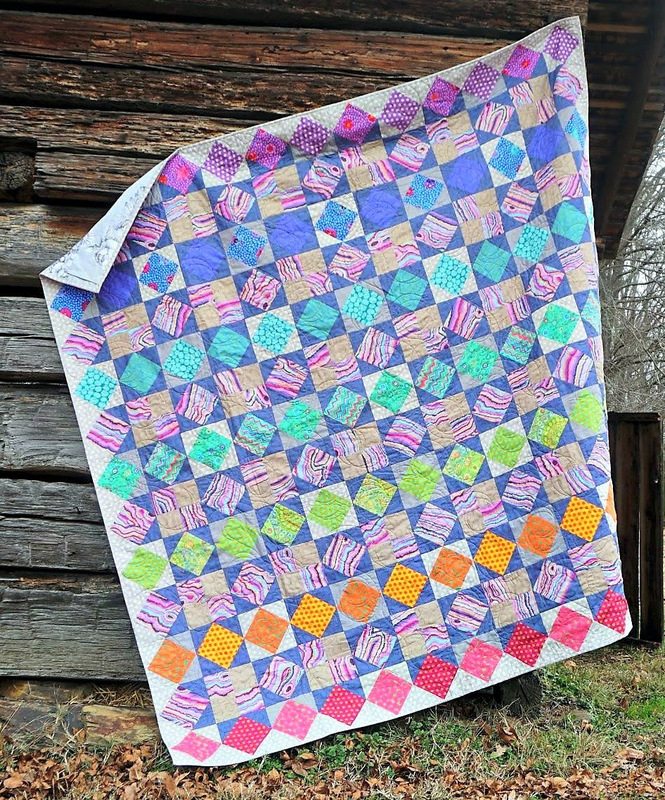 Honing in on your basic quilting skills and learning about harmonizing with Kaffe's color palette will be included. The first 30 customers who sign up by April 15th will receive this limited edition Kaffe tote for FREE! 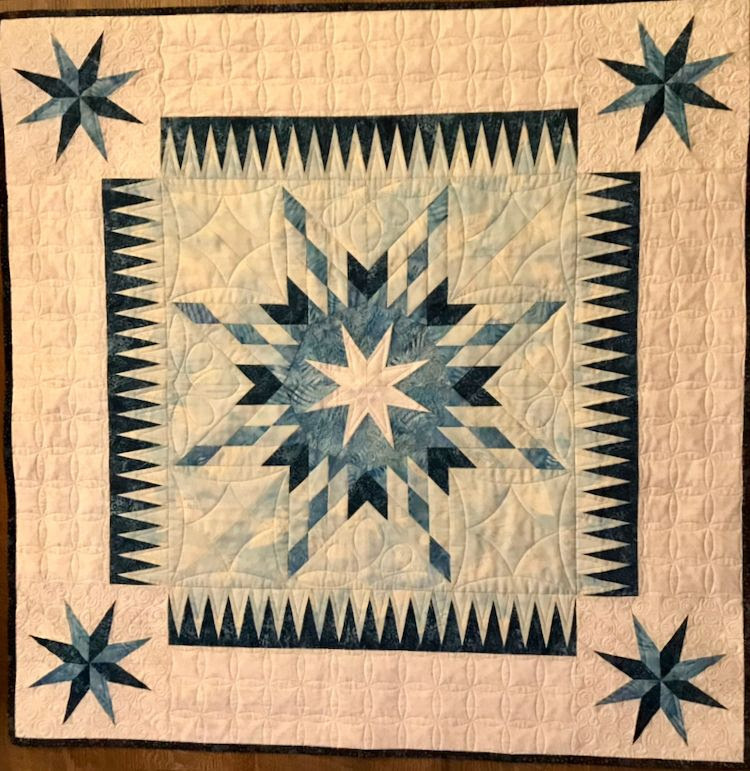 Bring your finished pieced top to the shop upon completion from July 22nd until August 31, 2019 and you will receive a $10 Gift Certificate to Lone Star Quiltworks! Cost for this amazing quilt kit is $109.99. A $20 deposit will be required at sign up along with a credit card on file for your balance of $89.99 plus applicable tax and shipping. 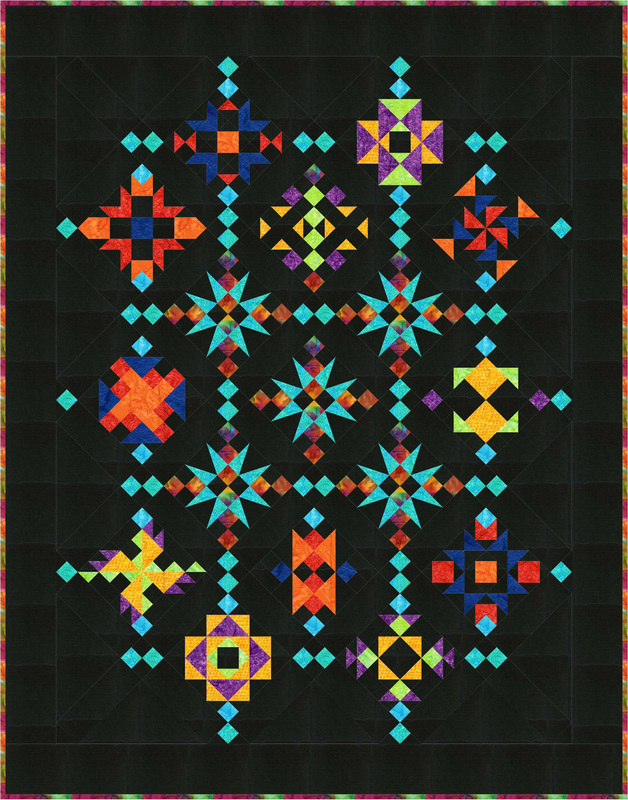 Estimated ship date for this quilt kit is late May 2019. Cedar Mills, a Batik Block of the Month! Please call the shop at 979 595 1072 to join us for this fun event! Cedar Mills is a gorgeous Batik Block of the Month designed by Chris Hoover of Whirligig Designs in conjunction with Island Batik fabrics. This quilt has two colorway options and two finishing options to choose from. You may choose the Patriotic colorway, (white background with red and blue), or the Brights, (black background with multiple colors). You may also choose your finishing style, ie Traditional or Modern as shown in the photos above and below. Please note both finishing option directions are listed in the pattern, the only difference will be your completed size. The Traditional size is 68" X 75" and the Modern size is 74" X 96". Both colorways require the use of various Creative Grids rulers to complete this project. We have rolled the costs of these rulers into your pricing and you will receive them with Month 1 regardless of which color option you choose. Participation in this Block of the Month will require a credit card to be on file at our shop. Cost for this project includes a non-refundable sign up fee of $20. This is a 13 month Block of the Month and you will be billed $21.99 per month plus applicable tax and shipping. There will be an optional "oopsy kit" and backing fabric available as we progress along with this quilt. Start date for Cedar Mills will be May 28th, 2019. This is the 4th Tuesday in May. Successive pick up and/or shipping dates will always be ready on the 4th Tuesday of each month thereafter. If you would like to see these two quilts and are in the Bryan/College Station area we have them on display at our shop! Contact us at 979 595 1072 to sign up for this beautiful quilt. Spaces will go FAST. Sign up by April 1st and you will receive a FREE gift with your first month's pickup! April 1st thru May 31st! It is almost time for Sewing Sewcial again! This is our quilt we designed using the twelve blocks from the twelve participating shops. It is 55" X 72" and called My Blue Angel! We are a participating shop for the second year in a row for this event, along with the eleven other shops listed below. You will need to order your 9" pre-cut blocks from each shop starting April 1st. Each block will cost you $6.99 to include your fabric, pattern, and shipping via USPS. The fabric chosen for this event was specially designed by Island Batik. You may collect all twelve blocks and put them into your own choice of setting, or you may optionally purchase a specially designed finishing kit from any of the twelve shops. Each shop will have a different setting plan for their quilt. For additional information click on the green button below to go to the Sewing Sewcial website. There you will see all of the individual fabric images as well as information about how this event got started! You may also click on the purple button below to go the Sewing Sewcial Facebook page and like the page! It's here! Tula Pink's newest line, Pinkerville! Get it while it is hot! Click on the pink button below to take you to our website and all of Tula's newest fabrics! Click here for Tula's Pinkerville fabrics! Our 6th Wonderfil One Day Event! Please call the shop to join us for this fun event at 979-595-1072! Our sixth exclusive Wonderfil Technique Workshop will be hosted by Bernadette Kent. Bernadette will be visiting our shop on Tuesday, April 16th from 10a-1p, or 2p-5p for an exciting three hour workshop packed with hands-on machine stitching! Learn how to use specialty threads featuring 50 wt cotton threads Konfetti and Tutti. Matchstick quilting, raw edge applique, and zentangle techniques will be demoed. Class cost is $35, however, this will include you receiving $30 of both Konfetti and Tutti threads, making your final cost for this three hour class just $5.00! What a bargain! You will need to bring some supplies to class with you. A supply sheet will be given out after registration. You can register for Bernadette's classes by calling the store or online by clicking the green button below! You have asked for us to offer this Block of the Month again, and here it is! Please call the shop to sign up at 979-595-1072! 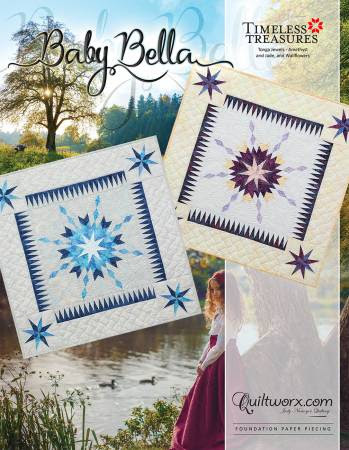 Designed by Deb DeRoche especially for Lone Star Quiltworks, this Block of the Month offering is a beautiful rendition reminiscent of the stars in the evening sky over Kyle Field after a Texas A&M football game! This Block of the Month uses maroon and white fabrics, (but of course! ), from some of our favorite vendors. Each block consists of an 8 pointed star that encompasses a different technique to make that star. The quilt top finishes out at 80" X 80". This is a twelve month Block of the Month. You will receive all of your background fabric, border fabric, sashing fabric, plus your first month's block at the start of this project. Our first pickup date will the second Tuesday in April, (April 9th). Successive blocks and your monthly pattern will always be ready for pick up and/or shipping on the second Tuesday of the month thereafter. Month twelve will include your binding, and finishing instructions. If you are local and would like to see the finished quilt we have the sample hanging in the shop! Participation in this Block of the Month will require a credit card to be on file at our shop. Cost for this project includes a sign up fee of $20. Your first month's charge will be $50.00 due to the large amount of fabric you will be receiving. For the remaining 11 months you will be charged $21.99 plus applicable tax and shipping, (this fee is an average cost; amounts of fabric will vary per month). There will be an optional "oopsy" kit and backing fabric available as we progress along with this project. We have installed an incentive program, for Kyle Field Stars. 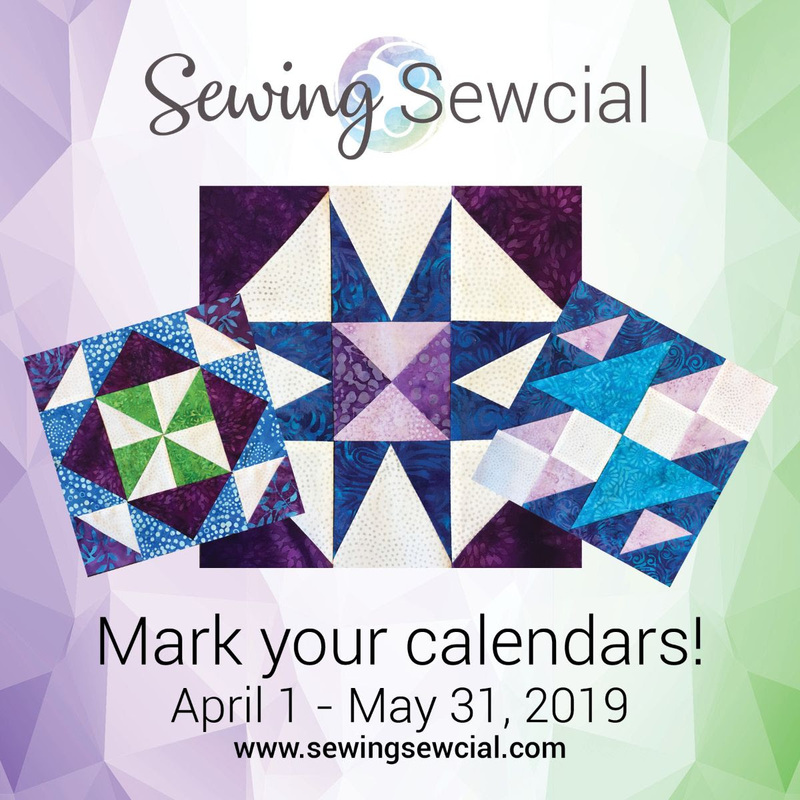 Details will be provided at the start of this Block of the Month about a special purchase for your backing fabric, and a discount on our quilting service. This beautiful quilt would be perfect for that new grad or alumni from Texas A&M. We bet you know a few! Contact us at 979 595 1072 to sign up. Spaces are limited so please call as soon as possible. Sign up by March 18th and receive a free gift with your first month's pick up! An Even Dozen Plus ONE Event! Come join Terry’s Checker rep Andrea Meegan as we explore the world of Creative Grids rulers. Creative Grids rulers are quilt shop only products and not sold in chain stores. These are the clear rulers with the black lines and fantastic grips on the bottom! Andrea is a former shop owner as well as a long timer quilter and is always looking for an easier way to do anything quilty! Watch as she debuts quilt tops she has made featuring her favorite 12 Creative Grids rulers plus ONE. This will be a lecture style class using story boards, handouts, and wish lists for your use with Creative Grids rulers Andrea will be showing for this special day. (And I bet there will be some food associated with this event as well!) We have three time slots available, 10AM, 1PM, and 5PM. Registration cost will be $5.00 to reserve your “seat”; however, you will be given a $5.00 Gift Certificate to use the day of the event so final cost is actually “none money” as Terry’s boys used to say! Come and join us for this fun filled event! Here is a link to the Creative Grids website so you can see some of their amazing rulers. They have some great video tutorials for your use! Click on the Purple button below! Click here for Creative Grids website! I am not going to tell you all of the patterns you can make with these rulers or that would spoil the presentation. Suffice it to say that I am truly amazed by all of the combinations these rulers can create. I know you will be glad you visited us for this event! 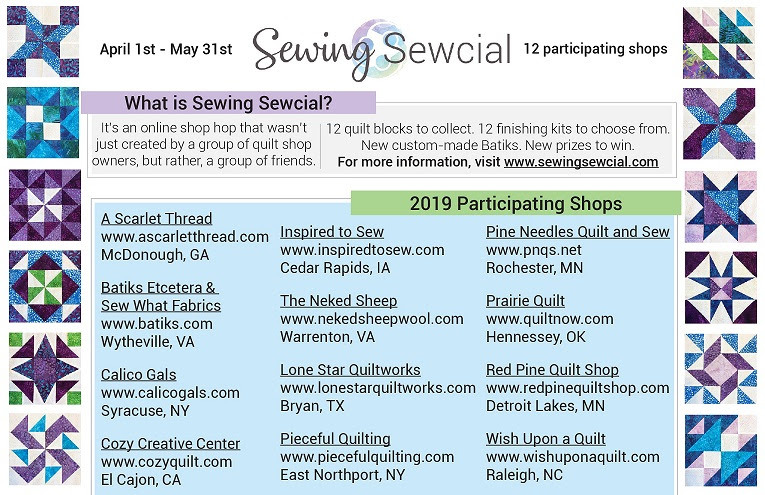 We are very excited to announce our 2019 participation in SewingSewcial! If you will remember from last year this is the event where 12 shops sell pre-cut 9" blocks to you with instructions for sewing them together. You may assemble them in a design of your own, or you may purchase a finishing kit from any of the shops. This year Island Batik has outdone themselves with stunning turquoise, green, purple, and cream fabrics. All of the shops have designed their own block and are now in the process of assembling their final quilts. As we progress forward I will send more information regarding how to order the blocks. For now, here is a link to the website which will be updated with prize information, pictures of the finishing kits, and more! From time to time we like to pass on a good deal to you and boy have we found one! 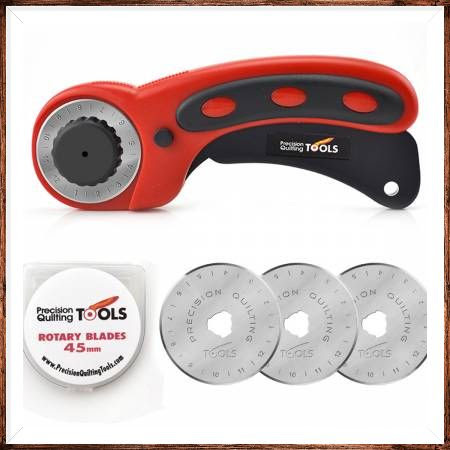 Precision Quilting Tools has a new 45 degree rotary cutter that comes with a blade already inserted and 3 replacement blades! Why is this such a good deal? Because of the price point. The price for this bundle is only $22.99! This is truly amazing but I was a little worried about the quality. So, we brought some in and the lovely LSQW ladies have blessed them. They have been using one at the cutting table and like it! They come in two colors, red and purple, but at this price who cares what color they are? Click on the red button below to order online, or visit us in shop! 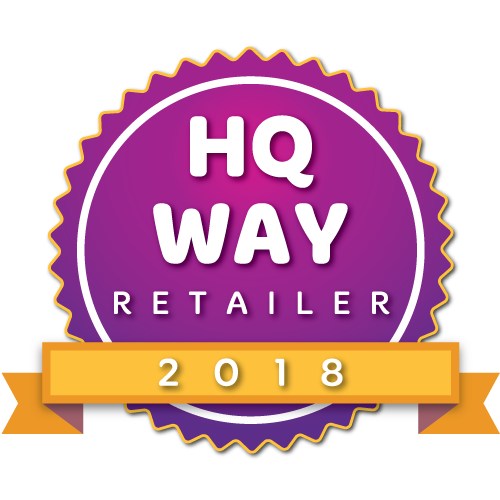 We are very proud to announce that once again we are the recipient of the HQ Way Award! This is the 4th year in a row we have won this award for exemplary service as a Handi Quilter dealer. We are required to meet certain criteria to apply for this award. Components are customer service, continuing education, machine servicing, etc. A huge thanks to our Handi Quilter shop team especially Maegan and Deb. I could not do it without both of them. Come and experience the HQ Way in person! We still have a few spaces left in our Handi Quilter Truck event scheduled March 14th to 16th! Are you thinking about a longarm machine, a sit down quilting machine, want to check one out, or just want to improve your skills? Well, this is the event for you! Come join National Educator Leslie Main for HANDS ON instruction. Why not come and play in the machines with us? Click on the green Handi Quilter button below for more information. Please call Sharon Braunagel at 979 324 9424 to secure your spot! Debbie Jones is a fabric artist who specializes in fabric decollage, art quilts and mixed media collage. Her fascination with color and love of fabric started in childhood when she began crafting and sewing. This eventually led to a part-time business in sewing and fashion design. In 1990 after winning a quilt in a charity raffle, she became intrigued with quilts and decided to try making them herself. 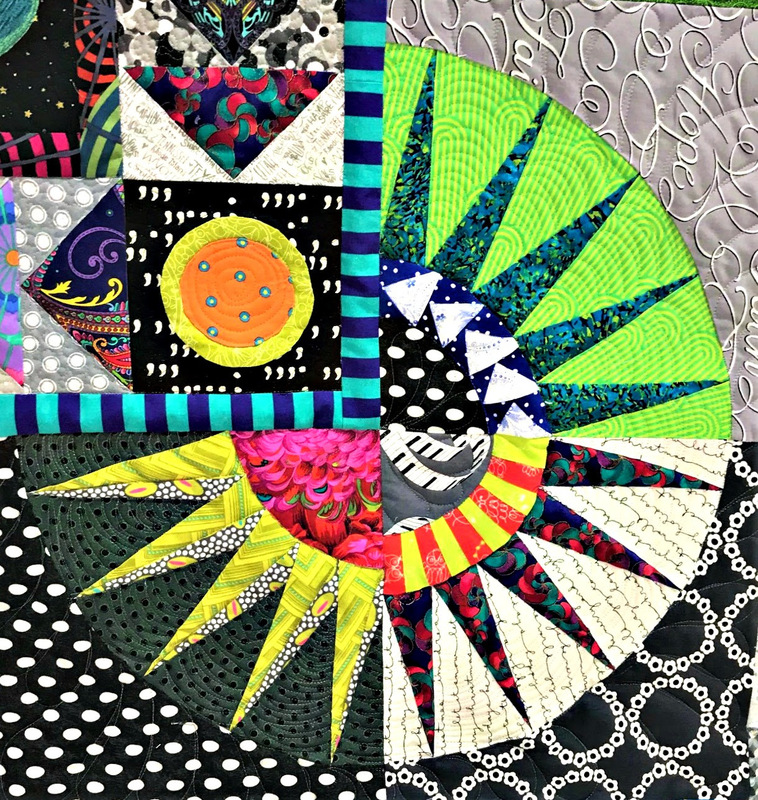 After studying techniques from world-renowned quilting instructors and some experimentation on her own, she began to create one-of-a-kind contemporary quilts that express her artistic flair, working both by hand and by machine. 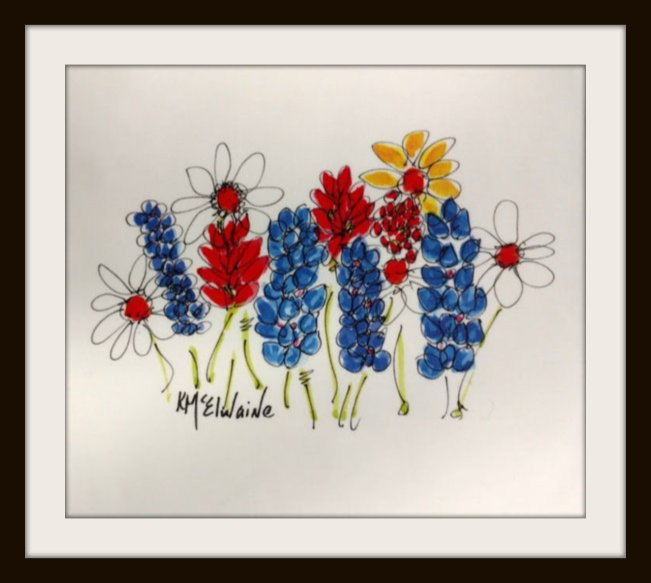 Her art is in collections around the world and has been exhibited in galleries and at fine art shows in various locations around the United States. 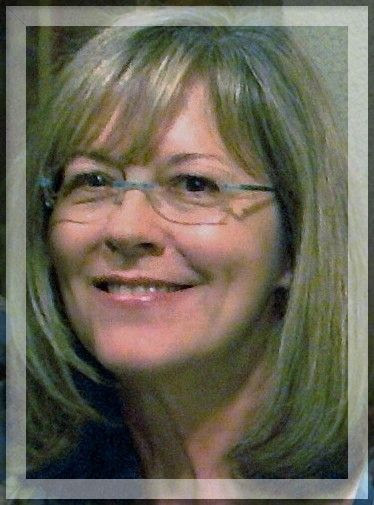 The Brazos Bluebonnet Quilt Guild, The Arts Council of the Brazos Valley, Lone Star Quiltworks, and The Wearables Group is proud to announce that Debbie will be our featured Artist in Residence in June, 2019. For 5 days, (June 11-15), Debbie will be sharing her skills by presenting 5 different workshops, and will be our featured presenter at the Tuesday, June 11th Quilt Guild Meeting held at the Brazos Center located in Bryan, Texas starting at 7pm. Learn to make these exquisite vessels by choosing a vase then bonding silk and other fibers to it using a special varnish. Once dry, remove it from the vase and you have a beautiful Silk Fusion Vessel. Insert an electronic candle or fairy lights for a soft glow that really highlights the silk fibers. 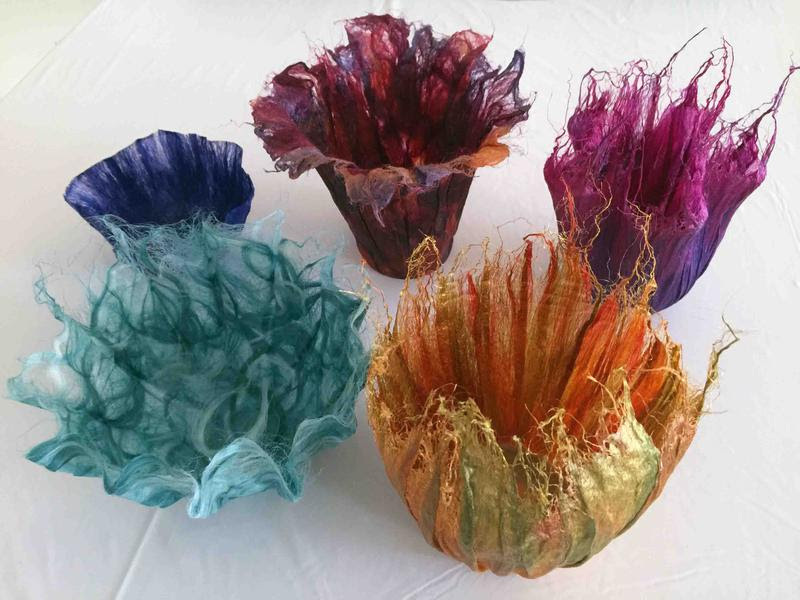 You'll have fun playing with dozens of fibers and choosing your favorites to make a one-of-a-kind vessel! These fibers are incredibly soft yet so strong when bonded together. Add Angelina fiber, Firestar, yarns, threads or other embellishments for sparkle if you like (included in the kit fee). The varnish does not make the vessel shiny or overly stiff, just sturdy enough to hold its shape. It will still be soft and textured and oh, so touchable. There's nothing else quite like it! 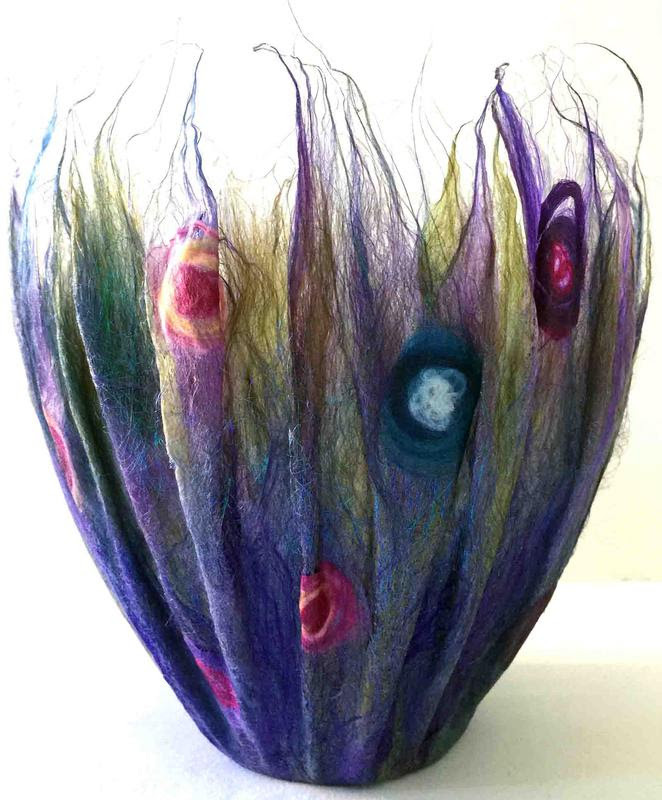 Debbie will also demonstrate how to bond silk fibers to a glass vase permanently. A detailed color handout is included, so you can easily make more vessels at home. They make great gifts! Students need to bring a few old towels, a box and maybe a glass vase. A $27 kit fee covers everything else, including their choice of an electronic candle or fairy lights. Each student goes home with a finished vessel, which will dry within a few days. Bring your own fabrics to class and use Debbie’s rubber stamps, stencils, inks, paints, paint sticks and markers to create unique pieces that will add pizazz to your quilts, wearables or decollage! Learn tricks for getting crisp, clear images that are permanent once heat-set, and enhance your fabrics even more with inks and markers for depth and shading. We’ll even do velvet embossing, and Debbie will provide the velvet! Detailed handout included. Everything provided except the fabric. 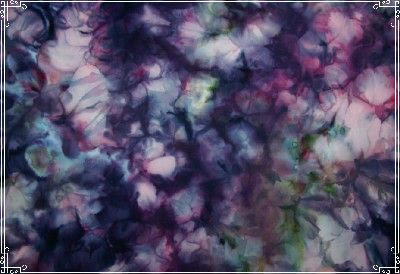 Create your own unique fabrics by sprinkling dyes over ice covered fabric. 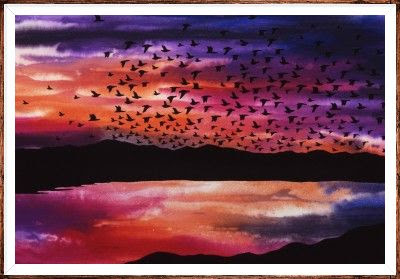 So beautiful, similar to batiks, only better! First we'll prepare the fabrics in a soda ash solution, then the real fun begins. Bring any fabric (or scarves or t-shirts) made of natural fibers like cotton, silk, rayon, wool, bamboo or blends of these. Learn different ways to scrunch, twist, twirl, fold, clamp and your fabric to get different patterns. Choose your dye colors and watch the magic as the dyes melt over the ice! Wear old clothes and shoes, and we'll use masks and gloves for safety with the powdered dyes, but we'll also use liquid dyes. Detailed handout included. Easy techniques, no prior experience necessary. 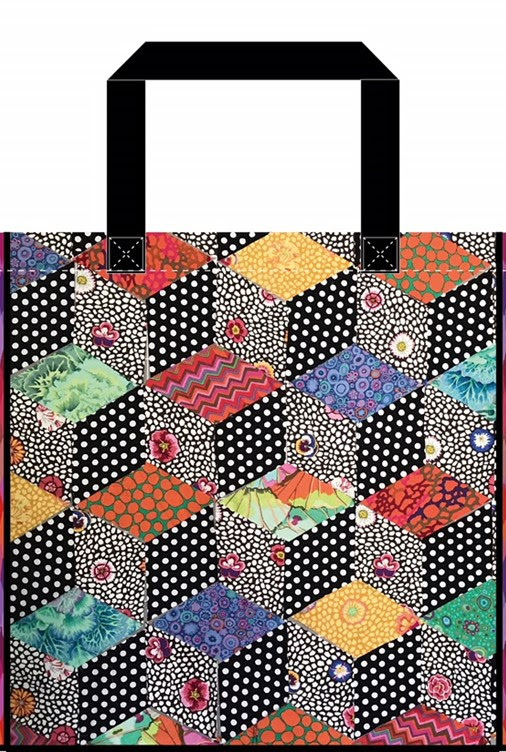 This is a great way to make your quilts, wearables and other fabric art truly special! The cost for each workshop is $35.00 per participant. All workshops will start at 9:00 am and will last until approximately 2:00 pm. Your place is the workshop is not secured until Sharon Braunagel has received your check. You will be sent a confirmation email upon receipt of check. If signing up for multiple workshops, please list the workshops on the check. Once payment has been received, supply lists and detailed workshop information will be emailed to each participant. June 11: Lecture “Fabric Becomes Fine Art” will be held at the Brazos Center, 3232 Briarcrest Drive, Bryan TX, 77802 at 7pm. (979-776-8338). There is no charge to attend this presentation. 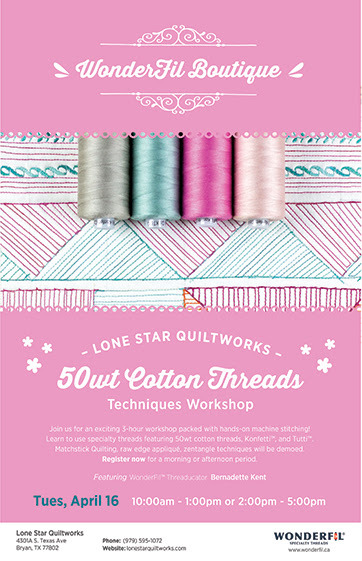 Please note you cannot sign up for these workshops through Lone Star Quiltworks. For questions and for sign up please contact Sharon Braunagel listed above! We will have the supply lists and samples of Debbie's work available for viewing at Lone Star Quiltworks anytime after 2/12/19. This program is made possible in part through Hotel Tax Revenue funded from the City of College Station through the Arts Council of Brazos Valley. Additional program support is provided by the Brazos Bluebonnet Quilt Guild, Lone Star Quiltworks, The Wearables Group, and The American Legion Post 159. A Marcus Fabrics and Nancy Rink Designs Block of the Month! 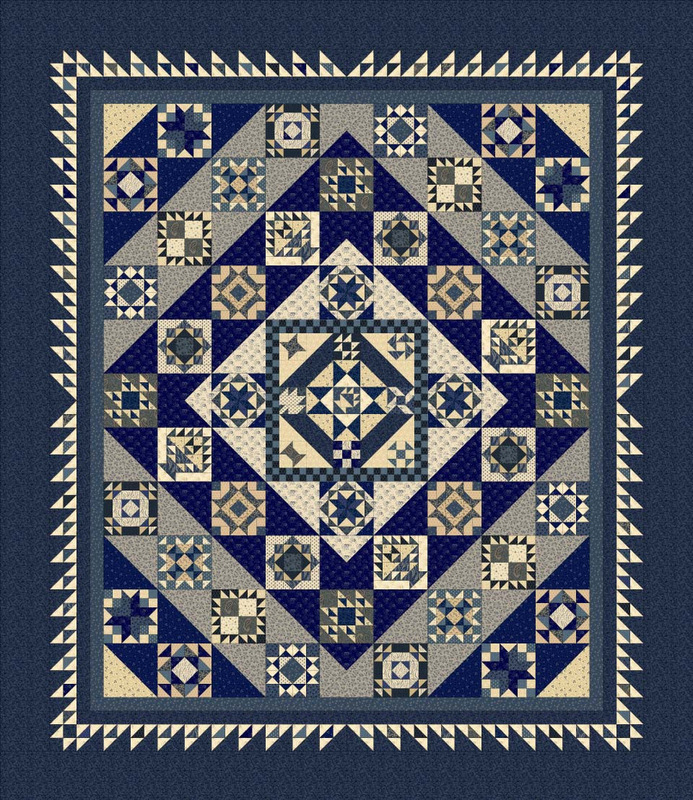 Join us for a new Block of the Month designed by Nancy Rink for use with Marcus Brothers Centennial Solids. 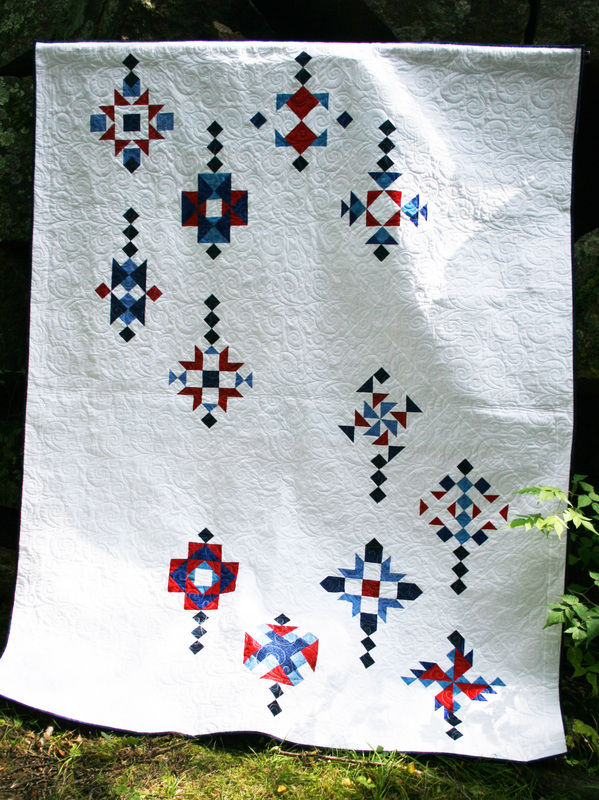 This gorgeous 88" X 98" quilt top is a stunner and SUPER REASONABLY priced. This will be a 12 month Block of the Month starting in March of 2019. The first pickup date will be Tuesday, March 5th, with successive blocks always ready for pickup on the first Tuesday of each month. Sign up fee will be $20, and your monthly fee will only be $19.99 plus applicable tax and shipping if you live out of town. We ship the most economical way possible and DO NOT up charge our shipping. Participation in this Amish With a Twist IV will require a credit card to be on file at the shop. If you live in town, we do have a sample of the fabrics available to show if you would like to drop by the shop and see them! You will receive a pattern booklet, a color fabric guide, and all of the fabrics for the top, border, and binding. An optional "oopsie kit" will be offered as we move along. I would also like to offer you 10% off of a backing of your choice as you get closer to finishing your top! Come and join us for this fun Block of the Month. This would make a great gift, too! Call the shop at 979 595 1072 to reserve your space as this one will go FAST! 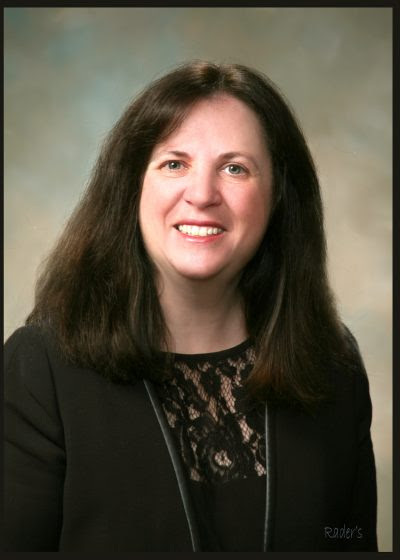 Ann Loveless is a native of Frankfort, Michigan which is located on the shore of Lake Michigan. Ann attended Michigan State University and received her degree in Clothing and Textile Design. In 2004 Ann fell in love with the art of Landscape Quilting. Ann's inspiration and designs come from nature and the beautiful lakes and woods of Northwest and Upper Peninsula of Michigan. 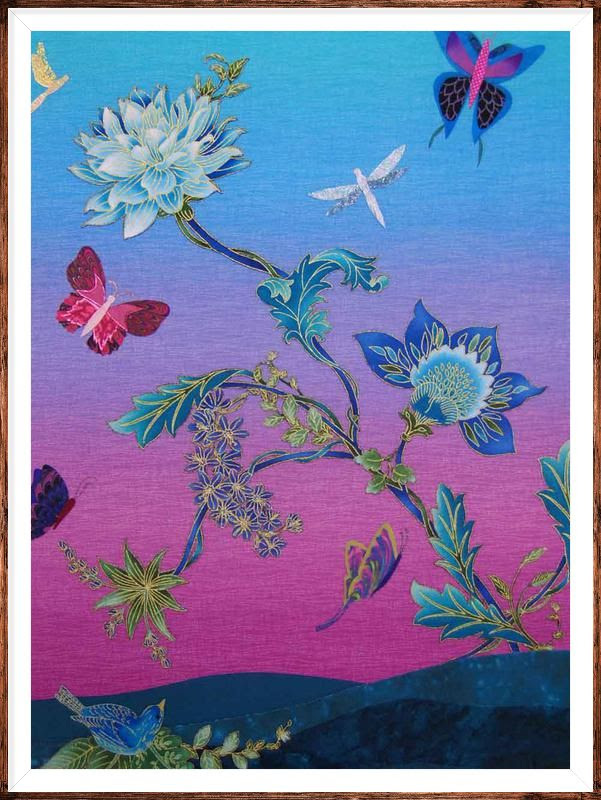 Ann has been featured on Quilting Arts and is the 2013 and 2015 Michigan Artprize Winner ($200,000.00 prize!). Ann works from photographs and has developed three distinctive quilting techniques, one of which she is going to share with us. 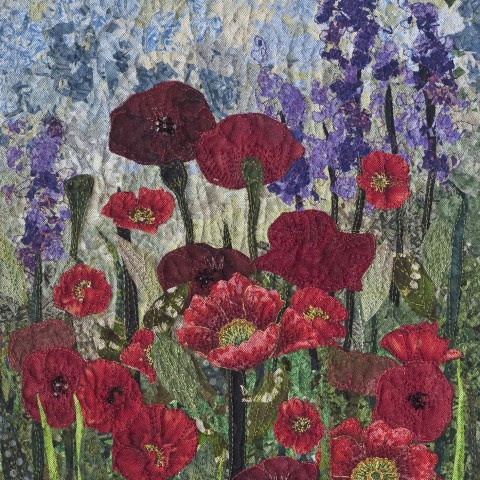 Participants will learn Ann’s technique to produce impressionist art quilts and will generate their own poppy wall hanging. Size will be approximately 14" X 18". Ann will show you how to layer fabrics under polyester tulle and free motion quilt with various threads using a photograph for reference. Cost is $35.00 per participant ($40.00 if participant is not a member of the Brazos Bluebonnet Quilt Guild). To sign up for this workshop, please email Sharon Braunagel (sbrauna@icloud.com) with the following information: Name, Email, Mailing Address, and Phone Number. Make your check out to Brazos Bluebonnet Quilt Guild. Send your check to Sharon Braunagel, 1908 Streamside Way, Bryan, TX 77807 (979-324-9424). Your place in the workshop is not secured until Sharon Braunagel has received your check. You will be sent a confirmation email upon receipt of check. Once payment has been received, supply lists and detailed workshop information will be emailed to each participant. Please note you cannot sign up for this workshop through Lone Star Quiltworks. For questions and for sign up please contact Sharon Braunagel listed above! We will have the supply lists and samples of Ann's work available for viewing at Lone Star Quiltworks anytime after 2/12/19. The Handi Quilter Truck 3 Day Event with Leslie Main as our guest instructor! Thursday, March 14th - Saturday March 16th! Please call the shop to join us for this fun event at the 979-595-1072! We are so excited to have the Handi Quilter Truck at our shop for three days of fabulous hands on classes with National Educactor Leslie Main. Growing up, Leslie was always creating. This love of creating lead her to pursue a Bachelor of Science degree in Education with a specialty in textiles. 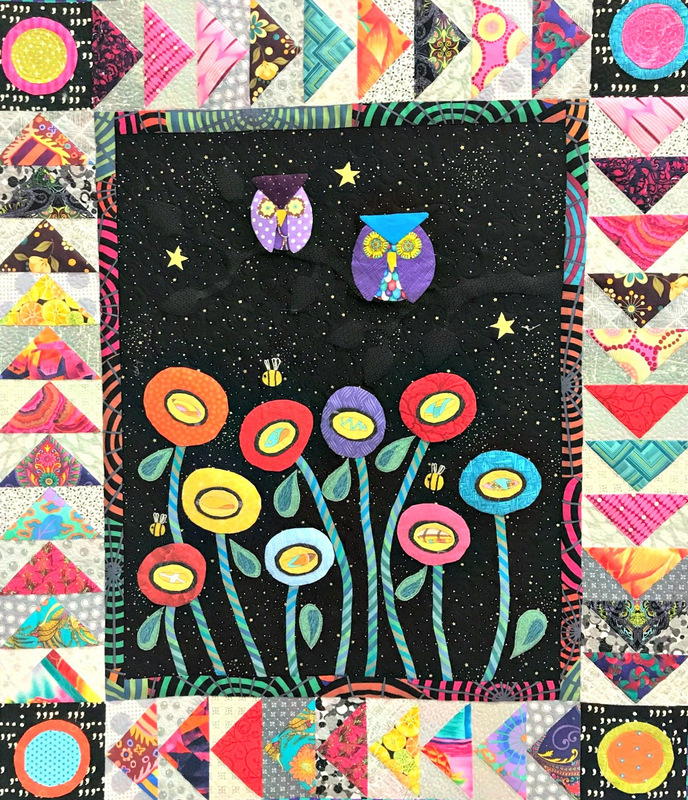 Ater ten years of inspiring school age students with the fun of creating with fabric, Leslie started her own quilt shop where she could inspire even more quilters in their creative journeys. Does longarm quilting interest you and you'd like to learn more about it? Or do you just want a review of longarm basics? 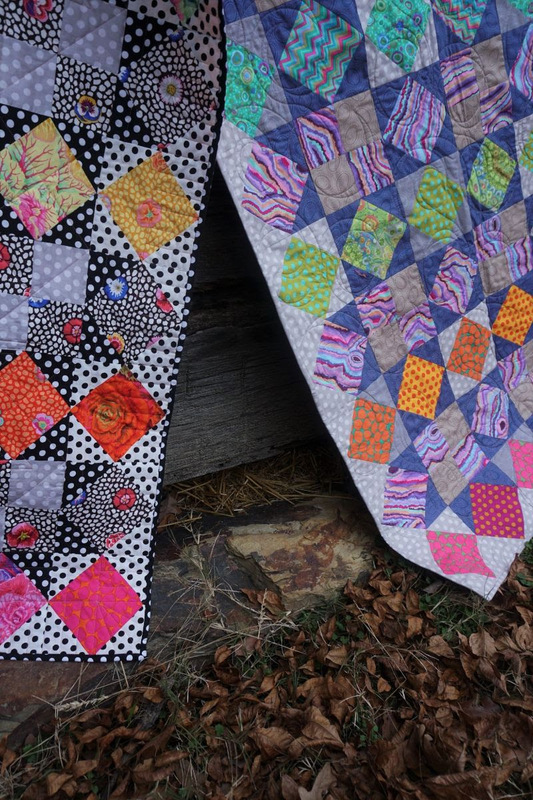 This class removes the mystery of longarm quilting by explaining machine and frame elements and features, how to load a quilt, and vital facts about thread, needles, and tension. Optional lunch available for purchase, $12. Meandering is the easiest and most common filler for background space, but there are limitless creative design elements to use instead. Come expand your design portfolio by learning the stitch path of a wide variety of creative filler designs. Learn which designs best lend themselves to micro quilting, and how to use micro handles for best results. 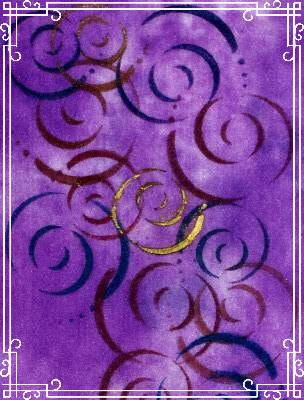 Class cost is $50 per class and you will be working on a Handi Quilter Amara on a frame. The machines will be set up in our classroom. There will be two teachers in the room at all times, and we anticipate two students per table. Special pricing and financing will be available if a machine is purchased. Additionally, class costs will be returned to customer at close of sale! And who knows there might be additional incentives during this event, hint-hint! For online sign up click on the blue button below! Kathleen McElwaine Quilt Block Art! We are so happy to be carrying Kathleen McElwaine's gorgeous Texas themed quilt block art squares. 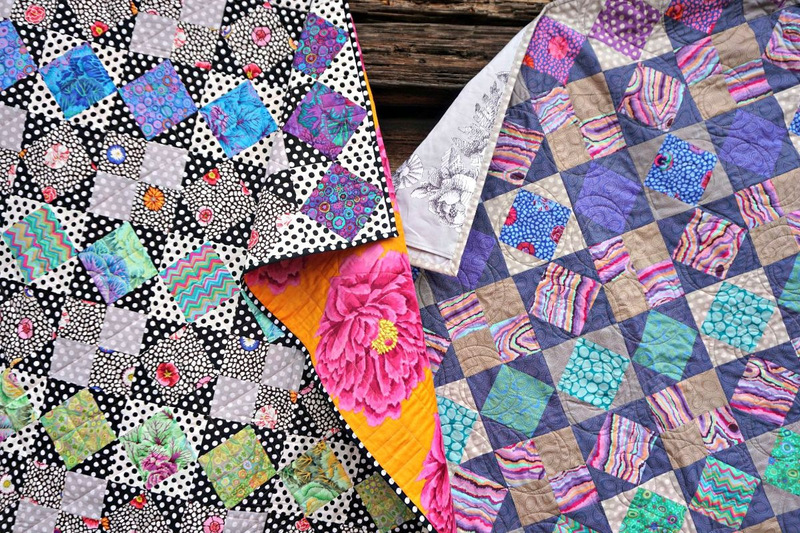 If you are looking for that perfect Texas themed quilt, wildflower themed blocks, or western themed squares Kathleen can fill the bill for you. Click on the blue button and scroll through all three pages to see her creations. We can't wait to see what some of our customers do with them, bags, shirts, and of course quilts, quilts, quilts! These are SO beautiful you can just place them in a frame as seen in the image below. You have been asking for a while and we finally did it! 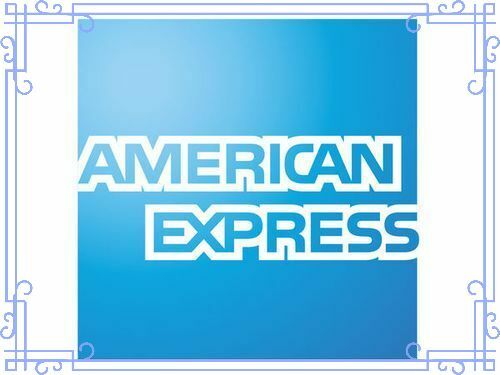 We have changed our credit card processing company and can now accept American Express credit cards at the shop, whoo hoo! I know there are lots of you out there that like this card and accrue points with them so purchase away! At Fall Quilt Market last year we discovered a darling fabric company called Stof France. We ordered in lots of fun bolts from them and they have now arrived at the shop. Many of their goods are 60" wide and would be wonderful for clothing, quilt backs, bags, piecing, and more. Click on the green button below to take you to all three pages of our Stof France fabrics! Clikc here for Stof France fabrics! Another great find at Fall Quilt Market is these beautiful wood turned seam ripper/stiletto combos. They come in a multitude of colors and have a plain olive wood option. The seam ripper end is super pointed for ripping out stitches. Try sewing while using the stiletto end to guide your fabric towards your sewing machine presser foot! Click on the pink button below to order yours today! And last but not least here is a great article from Aurifil Threads showing some of their lines with the quilting process. This is a series from Aurifil that I will share from time to time. Click on the purple button below! Baby Bella, a Judy Niemeyer class taught by Jan Mathews! Please call the shop to join us for this fun class at the 979-595-1072! 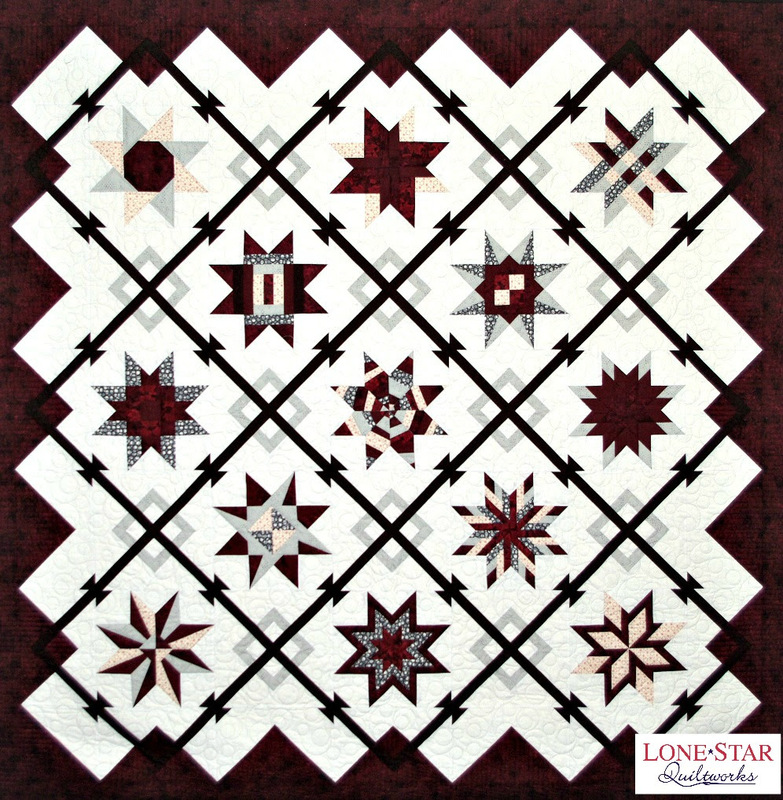 Curious about paper piecing and love the different looks of the traditional Lone Star? The Baby Bella class is the one for you. Learn Judy Niemeyer’s unique approach to paper piecing in a specifically for beginner’s pattern named “Baby Bella.” You will be introduced to several of the Quiltworx techniques in a single project that contains only straight lines, no Y or curved seams, and the project is only 36” x 36" so easy to complete (no UFO from this class). Jan Mathews, a Certified Instructor for Judy Niemeyer and Quiltworx, will guide you through the process in a relaxed and fun atmosphere. Please note this is a two-day class as listed above. Class cost is $80. Pattern purchase required to include your papers for $24.99. We do have a kit available for purchase in the blue colorway for $79.99. Kit will include your pattern and all fabric to make the top plus binding. An optional lunch is available for purchase for $12. Click on the purple button below for online class signup or call the shop at 979 595 1072. Jan's classes fill fast as she has a reputation for incredible patience and understands the "Judy Niemeyer" method of paper piecing backwards and forwards! Click here for Baby Bella class! 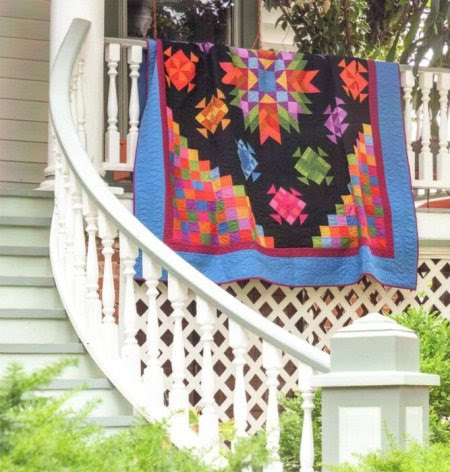 We have been following Australian quilt artist Wendy Williams for several years. Recently, I visited a shop carrying this pattern and fell in love with it! I purchased the pattern from the shop I was visiting and the wonderful Gail who works at Lone Star Quiltworks made this version of Wendy's pattern. We have had a great amount of interest in this pattern. The finished size is 66" X 80" and the pattern itself contains full sized templates. It does sell for $60 as we have to order it from Australia. Love those Austrailian designers but not the cost of getting their goods to the US! 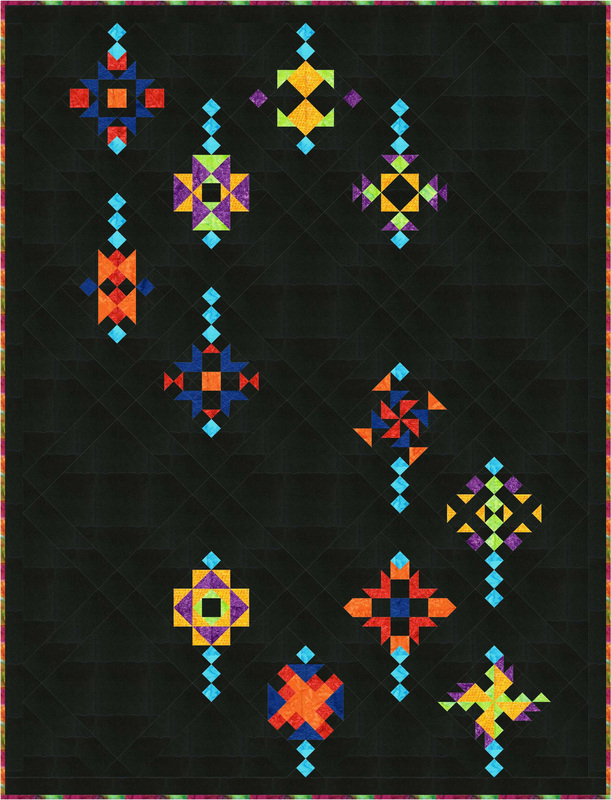 I would like to place a "group" order for this pattern. We have quite a few people that have asked me to obtain it for them already. If you would like to be added to our growing list please call the shop at 979 595 1072 to place your order. We can happily ship to you if you live out of town! I will wait a couple of weeks before I place my order, so if you are interested please let us know as soon as possible as I would like to place this as "one" order due to Australian shipping costs. Shown below are two close ups of Gail's quilt, which by the way, was quilted by the invincible Maegan! Join one of our Spring classes! Our spring class schedule is out! Our classes are taught by local teachers who are knowledgeable in their area of expertise. We also bring in out of town teachers on a special event basis. View our current class schedule by clicking on the blue button below. The current calendar will pop up first, then scroll down for class descriptions. You can register online, call us, or drop by the shop to sign up! Join us for this twelve month Block of the Month starting in February! Please call the shop at the 979-595-1072! Mrs. Miller's Apprentice was designed by Pam Buda of Heartspun Quilts in conjunction with Marcus Fabrics. This Block of the month contains 27 different fabrics, many of which are Indigo blue based with some creams and greys thrown in for balance. Finished size will be 77" X 89". Join us as we journey to the mid-19th century and read Mrs Miller's diary. She tells a story of Ellie who moved into a neighboring farm with her widower father. Ellie shows interest in learning to piece quilt blocks and Mrs Miller takes her under her wing. Each month you will join them in creating a beautiful variety of sampler blocks, and read diary entries telling the story of their growing friendship. Start date for this Block of the Month will be the 2nd Tuesday in February. Successive month blocks will always be ready for pick up and/or shipping on this same Tuesday each month. We will require a non-refundable $20 deposit to hold your space when you contact us to sign up. Cost for this Block of the Month will be $25 per month + applicable tax + optional shipping. (Please note we ship the most economical method possible and do not up charge our shipping!) We will require a credit card to be on file with us for future billing purposes. Your $25 charge per month will include your pattern, your fabric required to make the top, your binding, and a 4 1/2" Easy Angle Ruler required for this pattern. Plus you never know about our Blocks of the Month, there just might be something special thrown in there, too, hint hint! Click on the blue button below to see pictures of the fabrics that will be included in this project from Marcus! 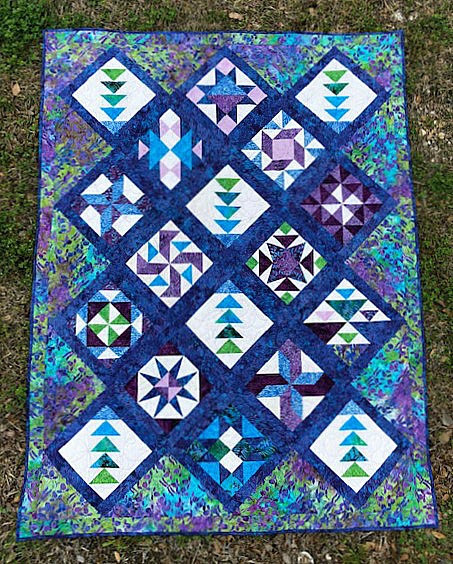 If you are interested in participating in Mrs. Miller's Apprentice please call the shop at 979 595 1072 asap as spaces will go fast for this gorgeous quilt!